With the uncommon valance cut canopy, the profile of the 7.5' Push Tilt Patio Umbrella from Leisure Select offers an attractive and distinctive look rarely found in other Patio Umbrellas. Easy to use, this model opens with a simple turn of a crank and tilts to block the sun with a relaxed push. Choose the best color to match your home's exterior, awnings or patio furniture cushions by using the drop down menu on the right hand side of this page. 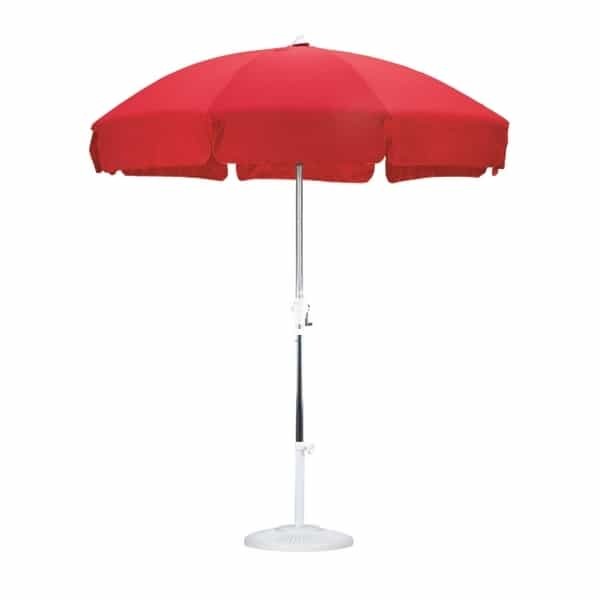 Each canopy is strong and bright 100% Olefin fabric, a great choice for extended outdoor use!